The glossy wax preparations food producers use serve four primary purposes. Waxing the skins of veggies and fruit is nothing new and dates back hundreds of years. The primary purpose was to make the produce travel friendly, to last longer, before the convenience of air and train travel that makes food shipment ultra-convenient and economically viable. It's not your Grandma's candle wax. 1. 18.6% oxidized polyethylene, 3.4% oleic acid, 2.8% morpholine, 0.1% polydimethylsiloxane anti foam. A lot of chemicals, edible of course, but not very appetizing, right? Taking a look at one of the common ingredients, morpholine, in the presence of Nitrites, (a preservative from deli meats, for example), chemical reactions take place that increase the risk of cancers. Shellac, if you don't know, comes from the larva of the lac insect from India and Thailand. It's also used in wood stain. "Morpholine is used as a chemical emulsifier in the process of waxing fruit. Naturally, fruits make waxes to protect against insects and fungal contamination, but this can be lost as the fruit is cleaned. A small amount of new wax is applied to replace it. Morpholine is used as an emulsifier and solubility aid for shellac, which is used as a wax for fruit coating." The best way to eliminate ingestion of these bad boys is washing with a detergent dish soap because water is just not enough. Peeling of course works, and the high dollar specialty veggie wash supposedly does as well. Bell peppers, tomatoes, tough to peel, apples easy. Consider washing citrus like lemons or limes that you add to your cocktail or corona. Modified atmosphere packaging (MAP), is another newer, technologically advanced technique being used to either actively-passively control or modify the atmosphere surrounding the product within a package made of various types and/or combinations of films. Injection of various gases is also used. By covering a fruit or vegetable with a barrier film there exists a chance of pathogens being able to propagate in an internal environment. Since spoilage and contaminant are reduced due to less contact with the outside environment there can be lurking goodies inside. Listeria outbreaks happen frequently. Enjoy a local farmers market for freshly grown produce. Answers about how they grow their crops. With or without pesticides, waxing, preservatives, etc. are usually given honestly. I'm sure it has crossed your mind wandering into the produce section of your local grocery store: How do they get the fruits and vegetables so shiny? Even in the middle of winter or off-season, the apples, cucumbers, and bell peppers look perfect. How do they do that? It's common sense that we have a lot of people to feed and the majority do not have a garden or orchard in their back yard. It also makes sense that many fruits and vegetables are not grown in the area you live, so they must be transported across the country, or from another continent, to arrive safely and edible. 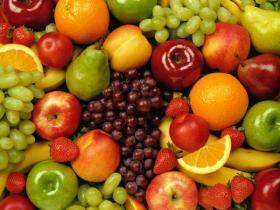 And, most people want a wide selection of fresh fruit and vegetables year round. Fruits and vegetables naturally produce their own wax to protect and ward off pests, but once they are washed at the point of harvest, man's intervention with spray-on preservatives, namely waxes, are essential to transport and protect them until they reach market. The question is though, are these wax concoctions food producers use safe for human consumption?